SPAT-3. 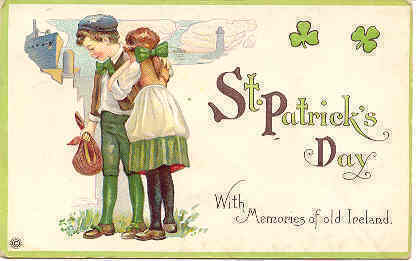 A beautiful ST Patricks Day post card, and is 1 of what I believe to be a 6 card series of ST Patrick cards. Card has a DB-UNU and in Excellent condition. Buyer will pay 1.95 S H for U.S. delivery 1st Class mail. FOREIGN and all other addresses will pay 3.95 S H for International Flat Rate Standard shipping. Discounted S H fees are available for multiple post card purchases. Insurance is the responsibility of the Buyer. All cards are very well packaged and I will not be responsible for loss or damage once the card has been shipped. I accept Cashiers Checks, Money Orders, Personal Checks, and PayPal.